White Seagrass basket in a choice of two sizes. 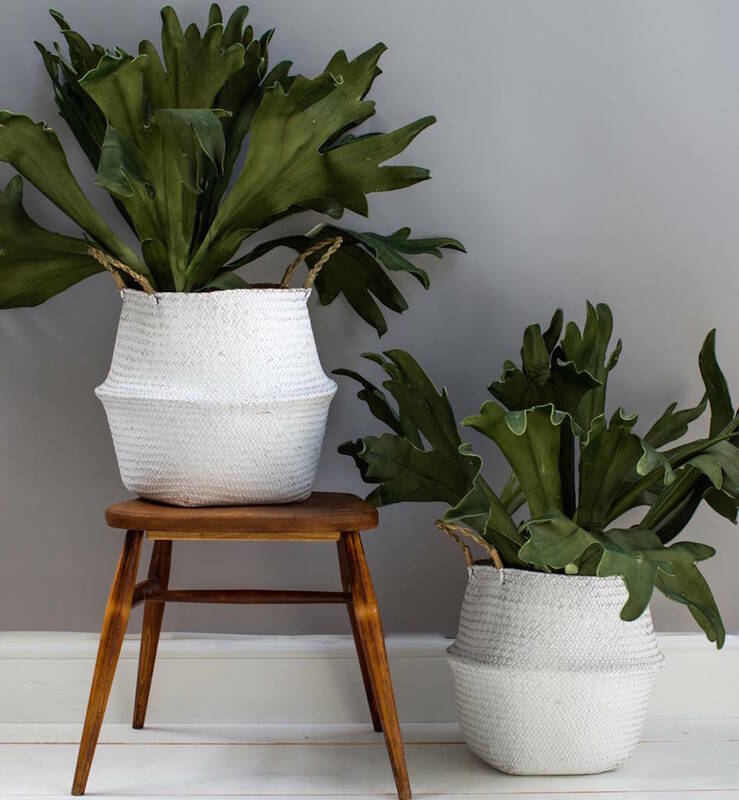 These baskets are in a white painted seagrass. They would be equally great for holding indoor plants, storing scarves or toys at home as for packing up all your goodies in for a picnic as they have very handy handles.They would also make a lovely present - who doesn't love some stylish storage?